What could be more romantic than renewing wedding vows while on a cruise with your better half? What are your reasons? Is it to celebrate your 5-year, 10-year, 25-year etc. wedding anniversary? Or is it to reaffirm your commitment to one another? Or you might have other reasons, but whatever it is, a wedding vows renewal on a cruise will definitely be a romantic moment to remember. It is not an official legal event like a wedding. The ceremony may involve just the two of you and the officiant, or it may be a group of couples as well. On some ships, it's the captain who will perform it on board. But it can also be done ashore. Best place I know of for renewing wedding vows is definitely Holland America's small bahamian chapel on Half Moon Cay, their Caribbean private island. Each couple receives a photo in a souvenir frame. To arrange, you need to contact the guest relations manager at the front office once you are on board. Just make sure that the ceremony is led by a non- denominational officiant, unless it's not an issue for you. The packages offered by the different cruise lines can go from free to expensive, simple to elaborate. Renewing wedding vows at sea where the captain serves as officiant. Romantic Wedding Packages including renewal of vows packages available. Renewal of Vows at Sea packages available. Offers packages to renew marriage vows. 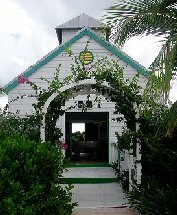 You can renew wedding vows in their bahamian chapel on Half Moon Cay, their Caribbean private island. Regent Romance includes vow renewal packages. Vow Renewal & Romance Packages available, which include shore-side vow renewals at its private island in Labadee, Haiti. Features vows renewal ceremony packages accompanied by onboard guitarists and conducted by the captains. Also offer vows renewal packages.